Are you ready to break free from old programs, belief systems and the insanity of repeating behaviors that sabotage your success in any area of your life? The InnerSpeak Cards help you to figure out where you set them up so you can clear them away once and for all time. 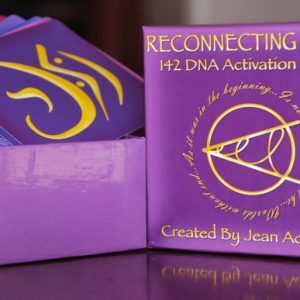 This beautiful 72 card deck comes with a booklet to guide you through the clearing process. These are more than a deck of cards – they are a complete clearing modality for releasing karmic blocks from this lifetime, past lives and your ancestors.